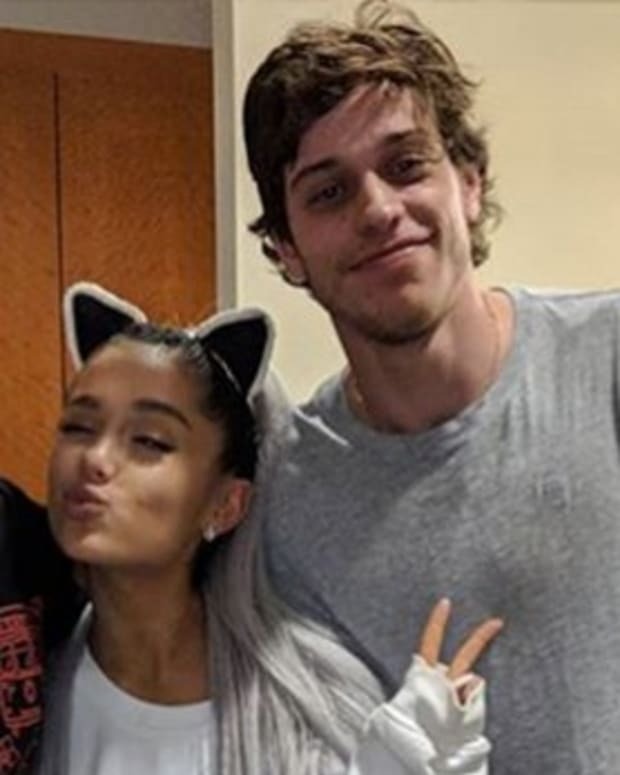 As you likely already know, comedian and SNL cast member Pete Davidson was briefly engaged to pop diva Ariana Grande over the summer. And while the two fell quickly in love and made plans to get married, they recently called off their engagement. And while we personally hoped that the duo would stand the tests of time, their relationship was pretty conventional when it comes to Hollywood flings. First off, they were extremely public about their relationship—flaunting their love on Instagram and for the paparazzi in real life. Second, they each got a number of tattoos in homage to each other. It simply wasn&apos;t a union built to last and despite the breakup being fresh, it appears that the two are currently working to move on from the heartbreak. 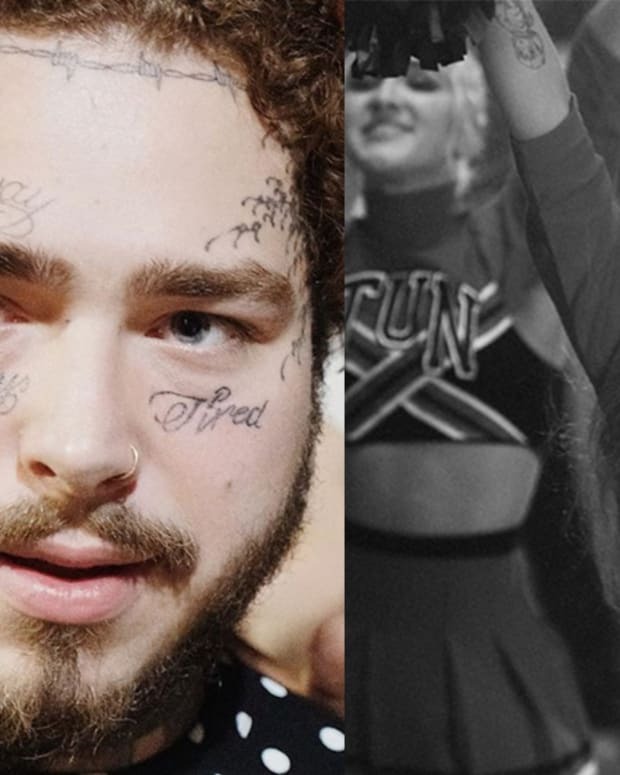 Ariana Grande has since released a song that addresses not only her breakup with Davidson, but with rapper Big Sean, backup dancer Ricky Alvarez and the late Mac Miller. And since releasing the hit "Thank U, Next," Grande has put her focus back into her career and is set to release the music video very soon. 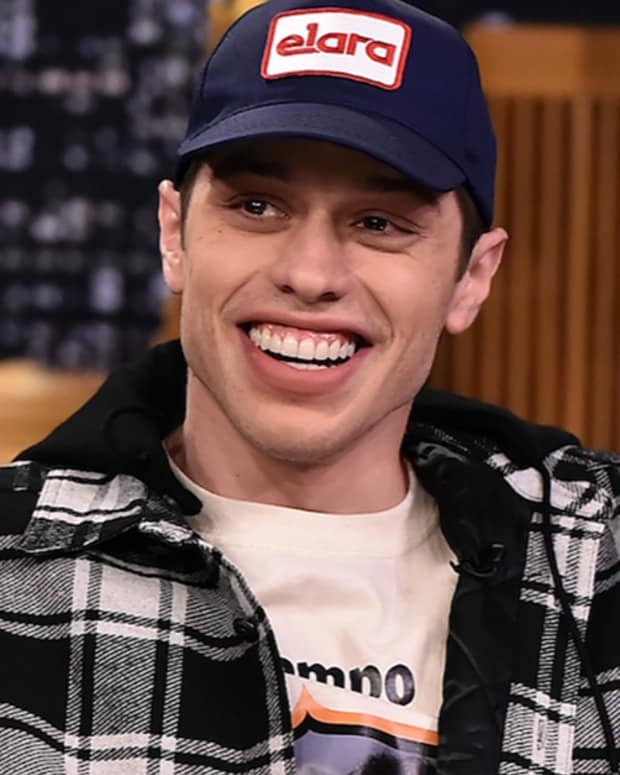 Davidson on the other hand continues to work for SNL and has popped into the new circuit on a number of occasions because of his tattoos. 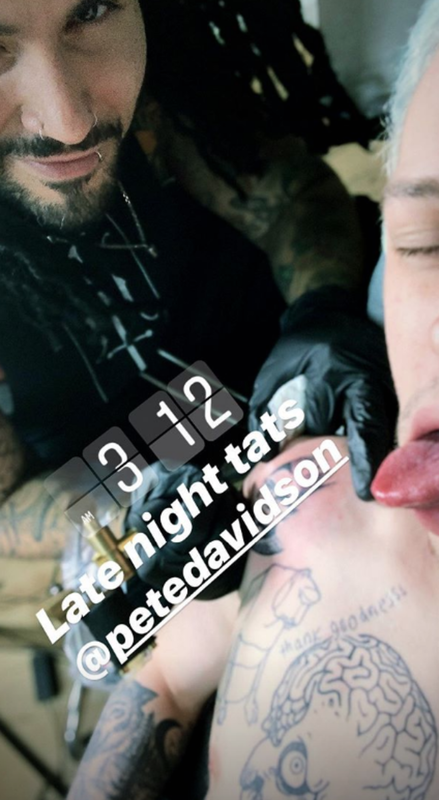 During his relationship with Grande, Davidson earned a number of tattoos for the singer and he&apos;s since started the process of covering a few of them up. 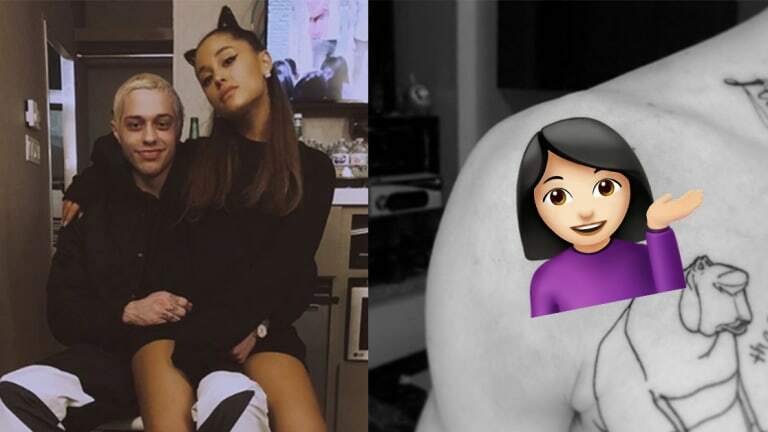 However, he&apos;s now flaunting a brand new tattoo that pays tribute to an important woman in his life... but this time it isn&apos;t Grande! In the early morning, Davidson paid a visit to NYC artist Jon Mesa at his Chinatown tattoo shop, No Idols. Mesa has inked a number of designs onto Davidson, including the logo for Grande&apos;s Dangerous Woman album behind his ear. However, this time Davidson let Mesa tattoo a different "dangerous" woman onto his chest. 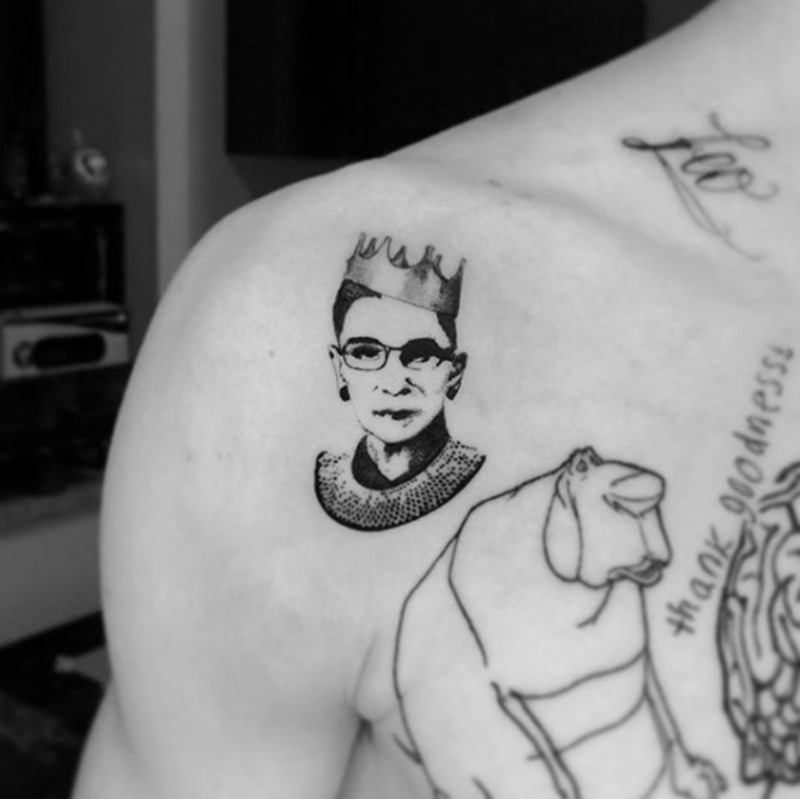 That&apos;s right, Davidson got tattooed in honor of the one and only, the notorious Ruth Bader Ginsburg. The tattoo design inspired by the cover art from the biography "Notorious RBG: The Life and Times of Ruth Bader Ginsburg" by Irin Carmon and Shana Knizhnik. While this portrait is certainly unexpected, this isn&apos;t the first time that Davidson has gotten tattooed in honor of a famous woman in politics. Back in December of 2017, Davidson got a portrait of Hillary Clinton, former Presidential nominee, Secretary of State and First Lady, tattooed by Mesa. We&apos;re beginning to sense a bit of a them from Davidson&apos;s work, however, we haven&apos;t a clue which female political icon he will get tattooed next. Nancy Pelosi? Michelle Obama? Kamala Harris? 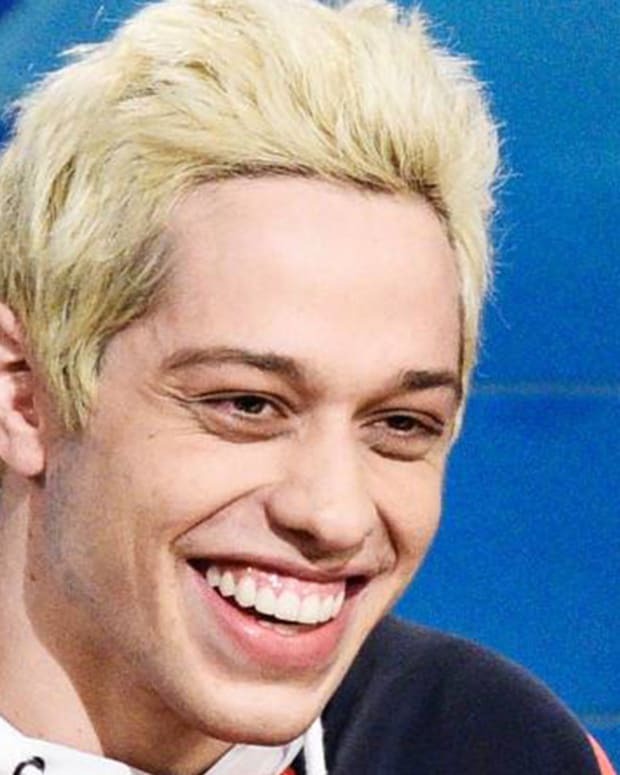 Or maybe he&apos;ll go for a guy next time, with a Bernie Sanders or a Barack Obama tribute. Only time will tell. 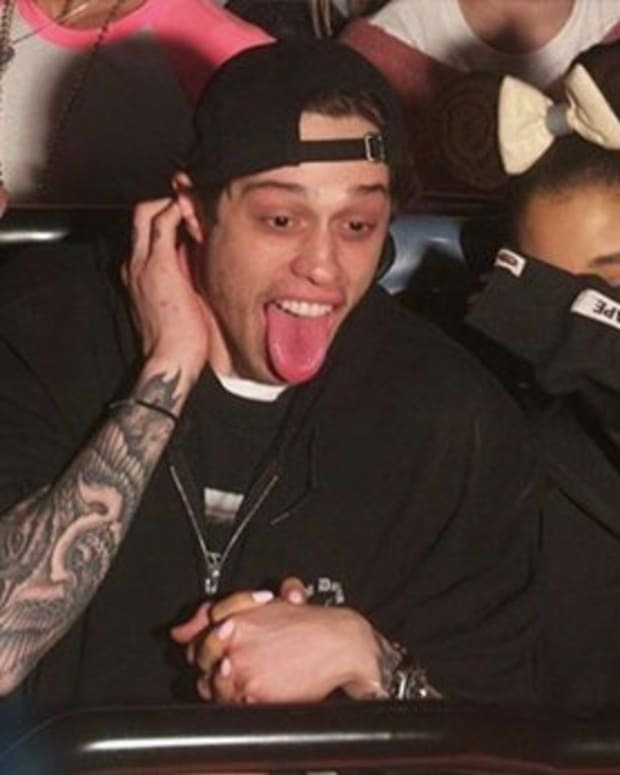 What do you think about Pete Davidson&apos;s new tattoo? 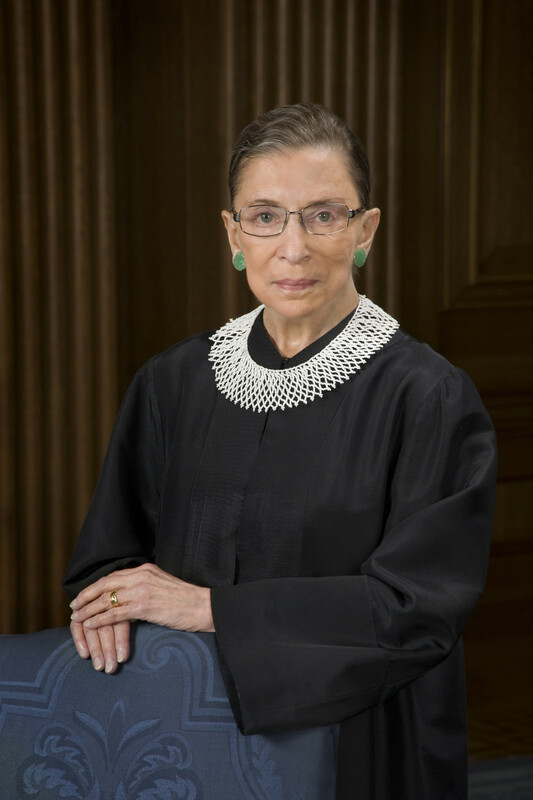 Are you a fan of the notorious Ruth Bader Ginsburg? 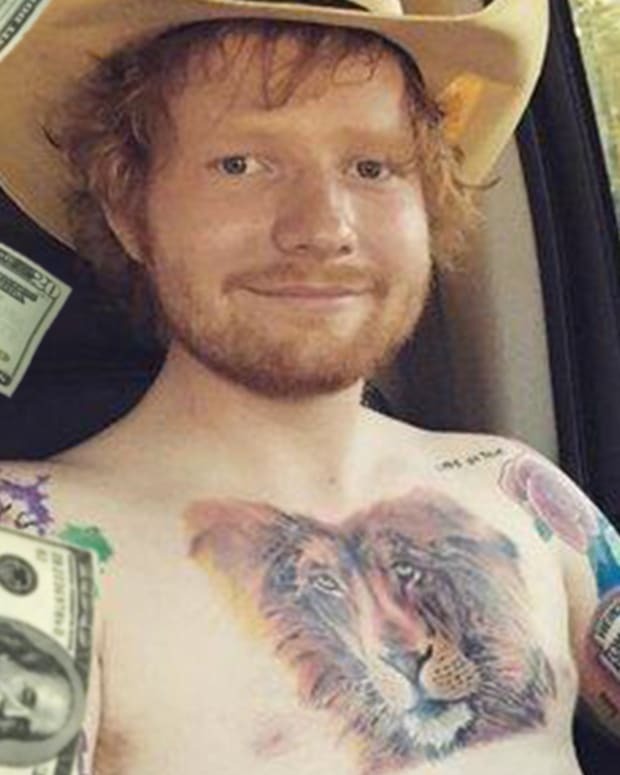 Are you curious about what tattoo the Saturday Night Live star will come up with next? Share all of your thoughts, opinions, questions and more in the comments section on Facebook.